Andrew Miller handles litigation and complex corporate business arrangements, most often in the pharmaceutical industry. He served as General Counsel for a generic pharmaceutical company and has a deep understanding of the legal issues in that industry. 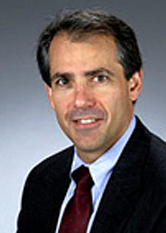 Mr. Miller also served as an Assistant United States Attorney litigating disputes for federal agencies, including the FDA. He has litigated numerous Hatch-Waxman (ANDA) cases as well as a variety of other matters in the pharmaceutical industry ranging from complex business torts to trademark, trade secret and contract actions. He also frequently represents pharmaceutical companies in corporate transactions ranging from supply agreements to complex licensing and joint venture arrangements. Generic Drugs Summit, September 2003, "Hatch-Waxman Reform - Rule Change or Legislative Fix." National South Asian Bar Association, June 2004, "Paragraph IV Litigation: An Indian Company Perspective." Pharmaceutical Antitrust Summit, April 2007, "Settling Pharmaceutical Patent Disputes." Licensing Executives Society, October 2007, "Early Access Agreements In Pharma." Pharmaceutical Antitrust Summit, April 2008, "Settling Pharmaceutical Patent Disputes." Montclair State University School of Business, Advanced Legal Management Program, November 2009, "What Successful Leaders Do." Asialaw In-house General Counsel Award, 2005.